I'm so jealous of all these writers who get to put the screws to folks like Nintendo's Reggie Fils-Aime, Hudson's John Greiner and many others. Kotaku's Luke Plunkett is the most recent recipient of my journalistic envy, due to the fact that he got to sit down with Hideo Kojima (best known for creating the Metal Gear series) at the GO3 conference. 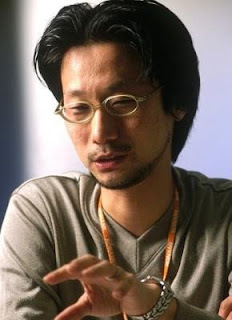 Plunkett and Kojima discussed a wide range of topics, with the most thrilling bits of info being that Metal Gear Solid 4 will be exclusive to the PS3 (sorry, 360 fans), that it may or may not include a rumble feature and that it may or may not be the last entry into the series. A thrilling read regardless of what information you're hoping he spilled. Is there anything wrong with the PSP?